The basic plot framework of the books is children facing frightening situations and using their own wit and imagination to escape them. The stuff that great children's theater is made of! Lucky for us, John Maclay and Danny Abosch thought so and have brought us Goosebumps The Musical: Phantom of the Auditorium. This book, #24 in the series, lends itself perfectly to becoming a musical. A thrilling musical about putting on a scary show in a haunted school. It is a story filled with the unexplainable and mysterious - secret passageways, unaccountable mischief, shadowy suspects, ghost stories. It takes place in a setting familiar to all of us - a middle school auditorium. 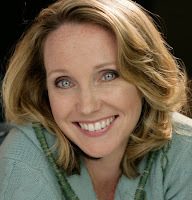 There are plenty of recognizable characters - that drama teacher we all had, the suspicious-looking janitor, the mean girl, the curious new kid, the practical joker, the brave girl who is like totally into creepy stuff. Now, for those of us who didn’t necessarily grow up reading Goosebumps (because we’re just that old, OK? ), I like to think of it as Scooby Doo with a little Stephen King or Neil Gaiman mild sauce on the side! It is my hope that you will be kept on the edge of your seats, watching these delightfully meddling kids bravely and creatively solve the mystery unfolding in this auditorium! 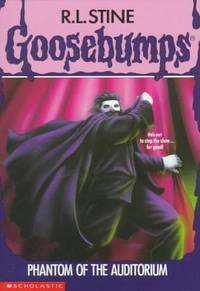 The Goosebumps books have frightened generations of kids for decades. And with Goosebumps The Musical: Phantom of the Auditorium, it promises to continue for generations to come! GOOSEBUMPS THE MUSICAL: PHANTOM OF THE AUDITORIUM opens Friday, October 14 and runs through November 13 at the Marcus Center's Todd Wehr Theater.